This jello salad is one of our favorite summer indulgences. 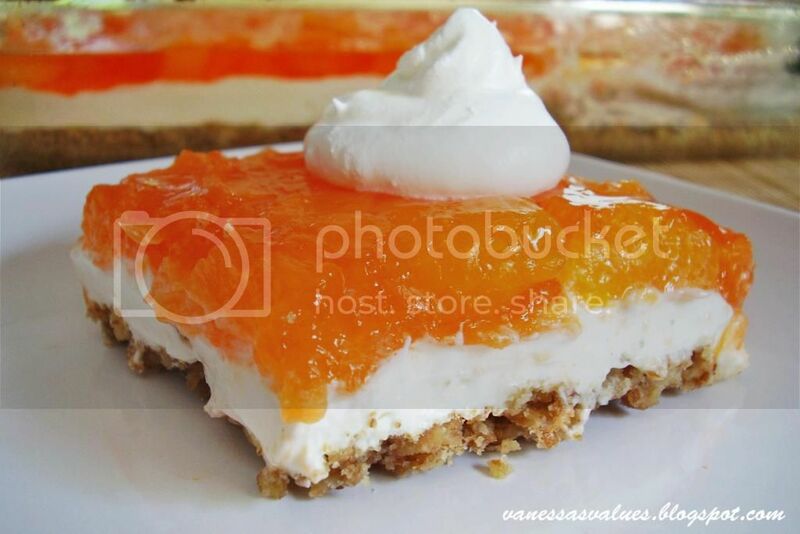 It has a bright orange flavor and the perfect combination of sweet and salty that is hard to forget. 1. 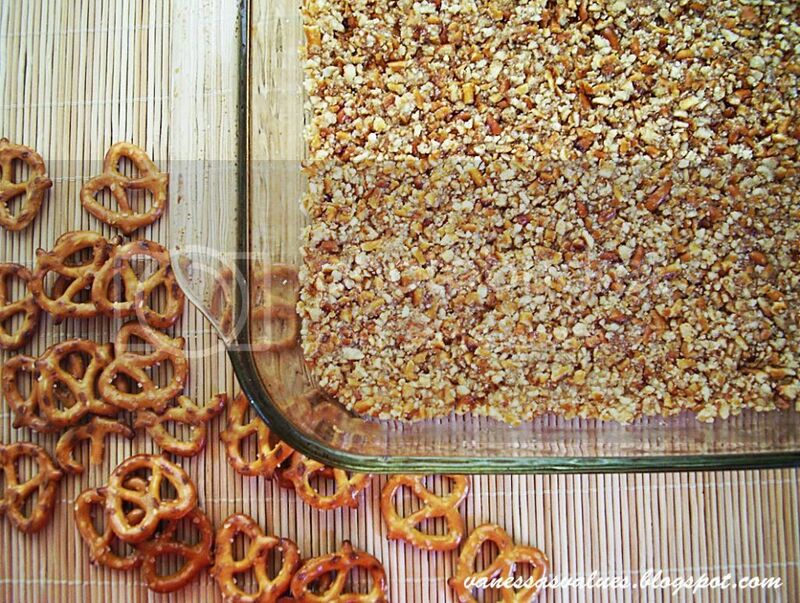 Combine crushed pretzels and 3 tsp. sugar in a bowl; stir in melted butter. Press into a 13 x 9 baking dish and bake at 350 for 10 minutes. 2. While the pretzel layer is cooling, mix the jello with boiling water and stir until jello is dissolved. Add mandarin oranges and pineapple and set aside to cool. 3. Mix together cream cheese and 3/4 cup sugar. Fold in whipped topping and spread over the pretzel layer making sure to push the cream cheese layer to the edges so that the jello layer won't leak through. 4. With a ladle or large spoon, carefully spoon the jello mixture onto the cream cheese layer. Refrigerate until firm. I always used to make that dessert but instead of orange and pineapple, it called for strawberry jello and frozen strawberries. I'm going to have to try the orange/pineapple combo. Ooh, this looks yummy. Love sweet & salty mixtures. Pinned it. I have never seen a recipe like this! So unique and it sounds yummy! Thanks for linking up to Thrifty Thursday this week! I have always made the strawberry pretzel salad but this sounds delicious. Thanks for sharing.